December has been a tough month: Daddy is back in the hospital with a serious infection, and he is scheduled for major surgeries Wednesday. My grandmother fell for the third time since summer and is now in a nursing home. 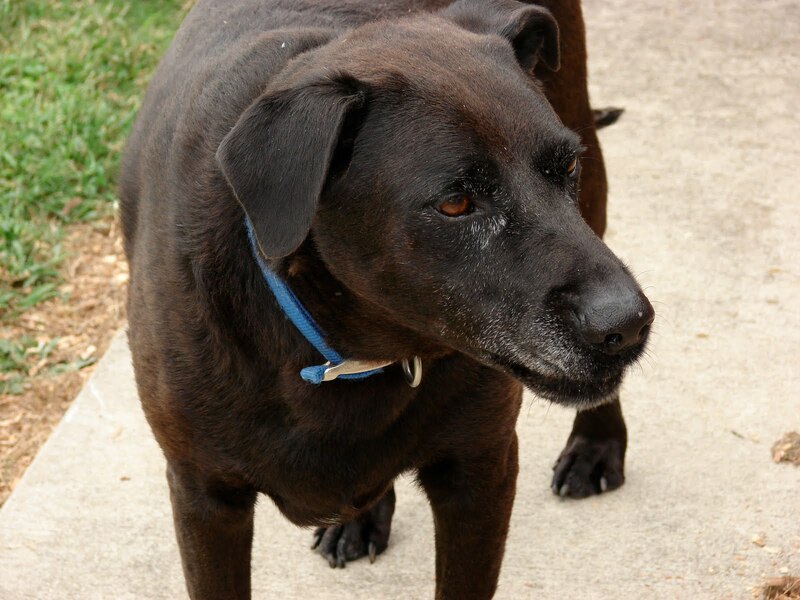 And last week, we had to let Carlo, our 11-year-old lab mix, go to a better place. Ryan and Riley had taken him to an emergency vet a week earlier because he was eating very little. They came back with a diagnosis of fungal pneumonia and prescriptions for pain and antibiotics. The meds did nothing, so our regular vet came to the house to check on him. Carlo was laboring to breathe, could hardly walk and completely stopped eating and drinking. Our vet listened to him breathe and checked him out and said it was either fungal pneumonia or lung cancer. We had already discussed a plan and once we had confirmation that we could do nothing more, we made the decision. And it was hard. Riley gave Carlo a hug, and we sent her to our neighbor’s. Ryan and I stayed with him until the end, crying and talking to him. 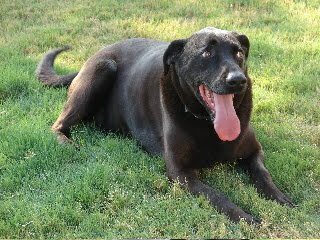 Carlo was the sweetest, goofiest dog. When it came to eating, he was like a vacuum. 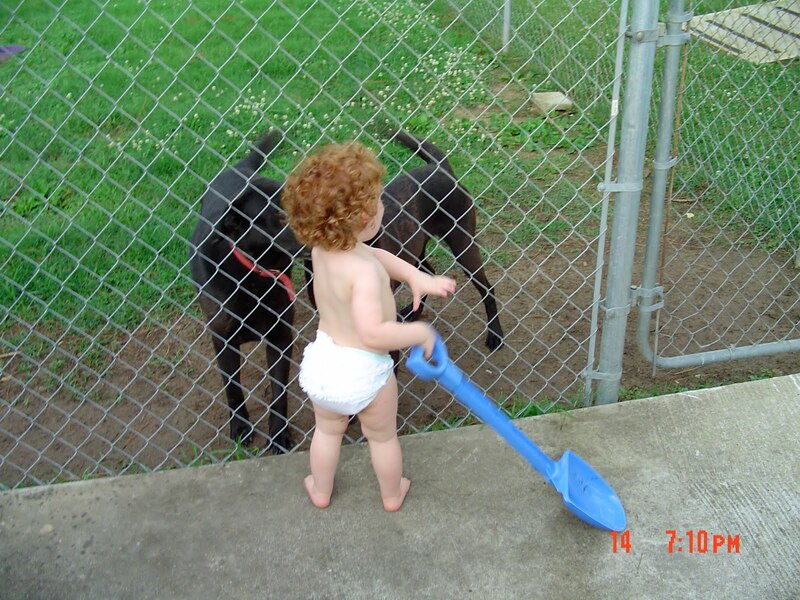 He loved to run around in the backyard, and he loved our first dog and his mentor, Eboni, whom we lost several years ago when Riley was very little. And he loved us. I miss him snuffling against the back door when he wanted in. I miss his barks when we pulled into the driveway. I miss him looking at me with those big eyes when he wanted to go outside. That night, Riley asked when the angels were coming to get Carlo and if we were going to put his body under his tree. She asked if he was going to play with Eb and Bonnie (Nanny’s late dog). She asked if he was going swimming. We said yes to all. We tried to explain about his spirit, but that was fruitless. We didn’t have the words to get it right. 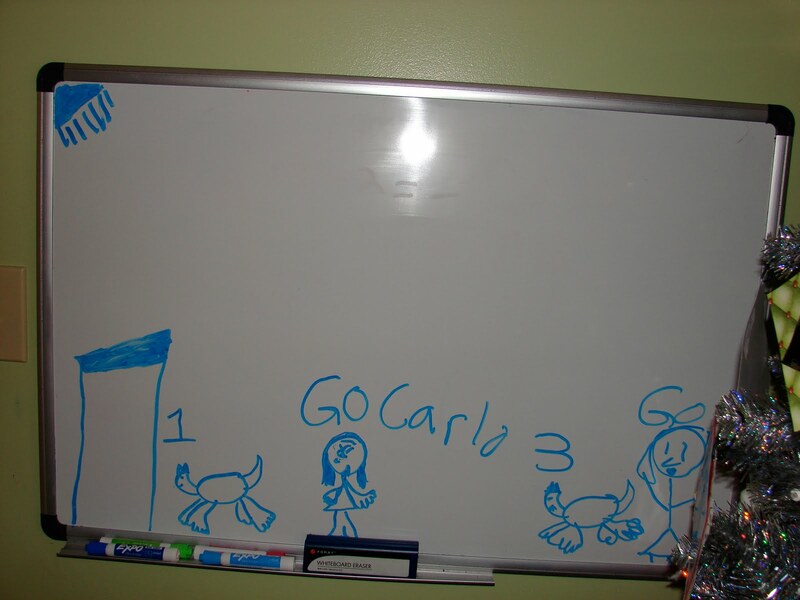 She drew a card for Carlo and Eb and took it to school and all her classmates signed it. Isn’t that the sweetest thing you’ve ever heard? The photos below show a 20-month-old Riley checking out Eboni (red collar) and Carlo; Ryan helping Riley get to know Carlo a little better; Carlo hanging out on the patio; and Carlo “opening” his Christmas present last year. 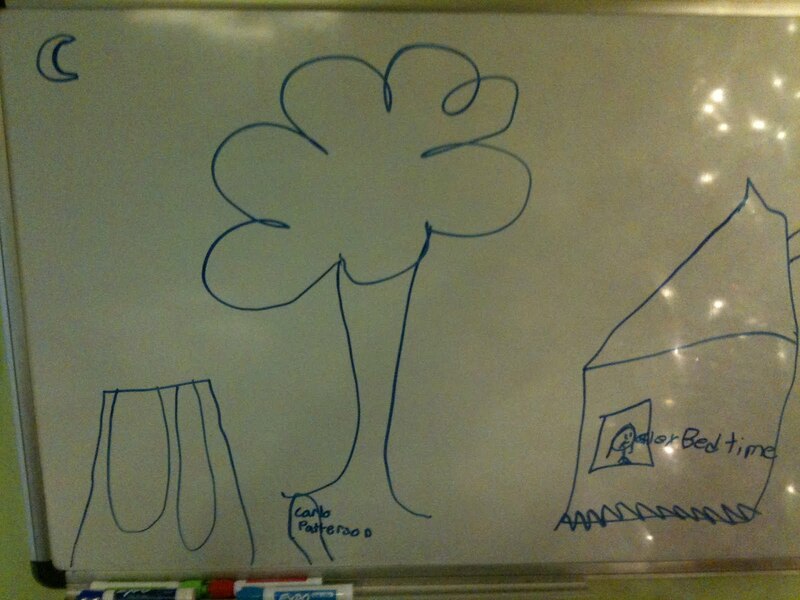 In the drawings, Riley encourages Carlo to go see Eboni in heaven and marks Carlo’s final resting spot – under his favorite tree in our backyard.